On 4th June 2017, the Taxi Charity For Military Veterans† – run and funded by London’s cab drivers – took hundreds of World War II veterans on a final trip back to the beaches of Normandy. The trip included a remembrance service at the Pegasus Bridge Museum and trips to Bayeux and the beach at Arromanches. 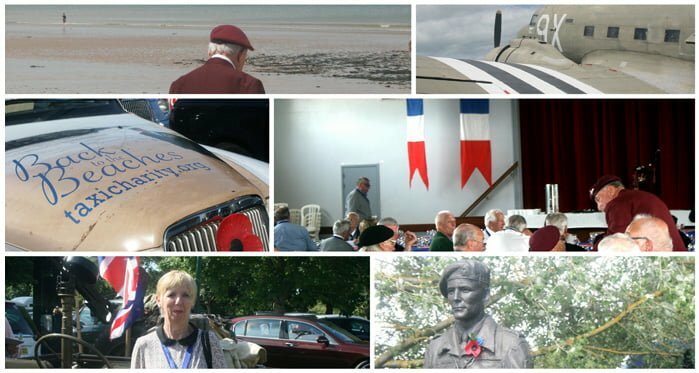 The veterans came from all over the UK for the 5 day trip to Northern France; however due to the size and ages of the travelling party, the youngest WWII veteran to travel was aged 93 and the oldest of the veterans was 99, specialist travel insurance was vital. We arranged cover via our Free Spirit scheme by taking an innovative approach to the insurance requirements, abandoning the ‘one size fits all’ standard policy. We were able to provide the Taxi Charity with a tailor-made policy, including blanket cover for the medical risks of the travelling group. Free Spirit was able to offer full policy cover to a total of 306 veterans, committee members, carers, drivers, medical support team members and guests.